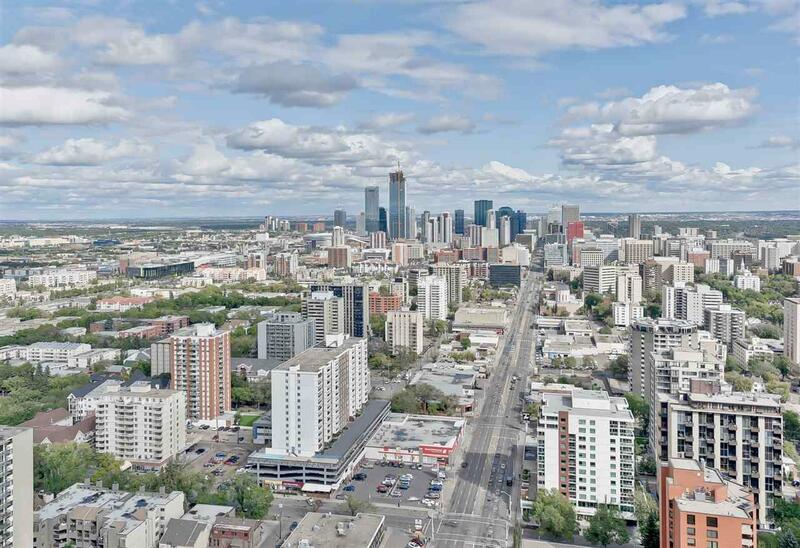 Edmontons premiere luxury tower, The PEARL, reveals a crown jewel. 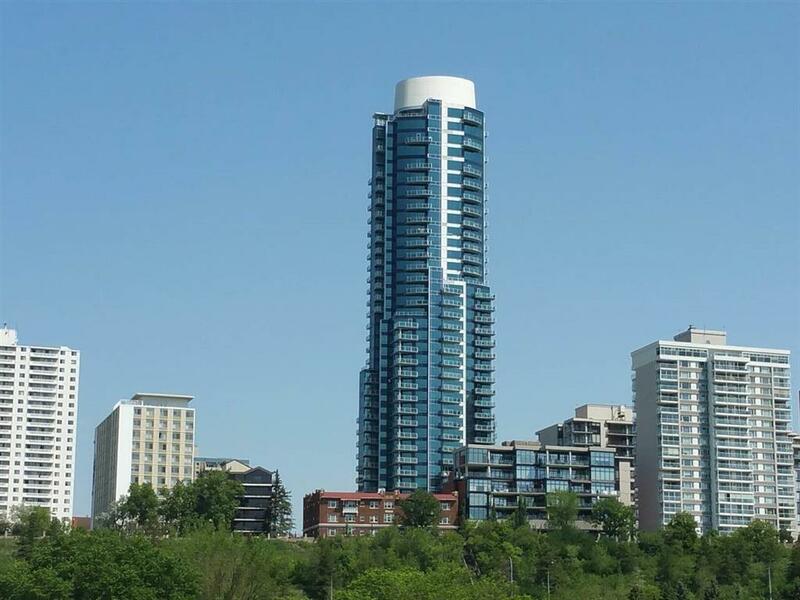 An elegant 2 Storey penthouse w/panoramic RIVER VALLEY views with 3,500 sq. ft of living space. This 2 Bed + Theatre +Den or (3 Bed +Den), 2 full bath (5pc ensuites) features built in GAGGNEAU appliance w/Espresso maker, 2 ovens, microwave, dishwasher & GAS cook top, Home Automation, Motorized Blinds, upgraded Walnut Flooring with Herringbone Pattern, Exotic Countertops, Upgraded Faucets, Bocci Lights, Real Walnut Casings & Doors, Upgraded Glass and Railing, In Floor heating in Powder Room with Upgraded BLU Pedestal Sink, Virtual Fireplaces from Rome, Upgraded and exotic wallpapers, Finished Home Theatre. 3 Titled underground parking stalls with storage area. The views from every room can only be described as stunning. 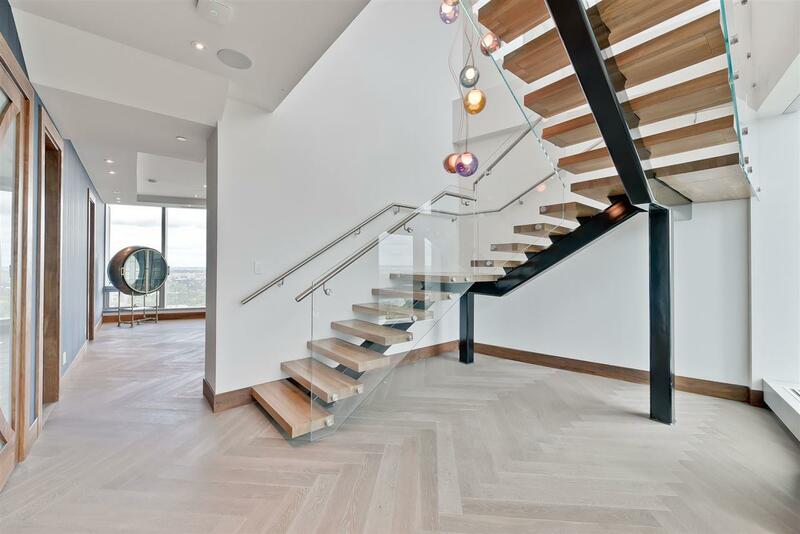 The Pearl offers the standard in luxury with concierge service, high tech security, private gym, owners lounge with outdoor patio, owners function private kitchen. 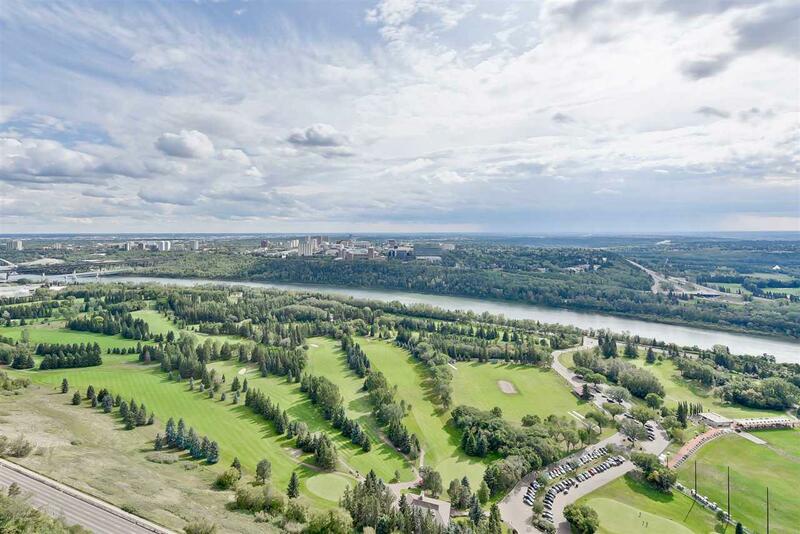 The location is literally steps to the River valley trails.